In a recent post on US climate change litigation, I said that, by contrast with the US Courts, there was relatively little such strategic litigation in the UK and the EU. But that all changes when the US lawyers come over here – exactly the issue in this case. US airlines said to the EU Court that their rights under international aviation law have been infringed by a European Directive on greenhouse gas emissions from airlines. This EU Court Opinion goes right to the heart of how two systems of supra-national law fit together. EU law hits International Law. And, unsurprisingly, an EU lawyer thinks that EU law wins – so far, anyway, before the full EU Court of Justice decides the case. The EU has sought to limit greenhouse gas emissions from heavy industry for some years – since its Emissions Directive in 2003. In 2008, the EU passed another amending Directive to regulate another element of heavy industry – the airborne one in my image. Both seek to “cap” emissions from a sector at a total figure, and then to allow those affected to “trade” emission entitlements within that sector so as to find the cheapest way of reducing emissions – a Good (market-based) Thing. And the airlines did not like this move. Hence this challenge in the UK Courts to the local regulations which implement the 2008 Directive. The Directive, in force from the beginning of 2012, seeks to regulate the emissions of any aircraft which takes off or touches down in the EU, and does so by looking at how far the aircraft had flown – as some sort of measure for how many tonnes of greenhouse gases had been emitted by the aircraft. It is these aspects – said to be extra-territorial in that they extend beyond the EU – which were focussed on in this challenge, as well as a whole slew of provisions in international aviation law. may rely at will on provisions or principles of international law in court proceedings in order to defeat acts of EU institutions. It is always necessary to determine specifically, with regard to each particular provision and principle of international law at issue, whether and to what extent it can be relied upon, in proceedings initiated by a natural or legal person, as a benchmark against which the lawfulness of EU acts can be reviewed. if by the nature and broad logic of that agreement, it is capable of conferring rights which an individual can invoke before the courts. In other words, therefore, the international agreement in question must affect the legal status of the individual. And legal status is affected where individuals are granted independent rights and freedoms under an international agreement, as is the case, for instance, with many association, cooperation and partnership agreements concluded by the EU and other non-EU states – an example might be an EU agreement with Turkey regulating how and when Turks can work within the EU. As the A-G also pointed out, international environmental agreements may also contain provisions on which any interested party is entitled to rely before the courts. Those familiar with the rules about when an individual in the EU can rely upon a directive which has not been made part of his or her domestic law will recognise this test – easy to state but difficult to apply, particularly as lots of people means different things by the concept of “rights” in this context. So from the general approach to the specific measures relied upon by the airlines. The first piece of international aviation law, the massively important Chicago Convention (with its 190 states as contracting parties and ICAO set up under its auspices) got short shrift from the A-G as a ground upon which the claimants could rely. This was because the EU was not a party to that Convention, even though all the Member States are. Efforts to spell out an obligation upon the EU of substantial compliance out of its history failed. An attempt was also made to divine a principle of customary international law that ‘aircraft overflying the high seas are subject to the exclusive jurisdiction of the country in which they are registered, save as expressly provided for by international treaty’. This also failed, and even if it had succeeded, it would not have availed the claimants. Such rules may determine the scope of sovereignty of States and limit their jurisdiction, but by “their very nature and broad logic” cannot affect the legal status of individuals. However, the A-G found that two measures could be relied upon by the airlines. The first was Article 7 of a EU/USA “Open Skies Agreement” (2007, supplemented in 2010) which says that the laws and regulations of one Party within its territory are also to apply to aircraft and the passengers, crew and cargo on aircraft of the other Party and are to be complied with by them. This was unconditional as regards its content. It was also sufficiently precise for it to have tangible legal consequences for individuals: it describes in detail the type of laws and regulations to which it relates, and categorically states that these laws and regulations ‘shall be applied’ and ‘shall be complied with’. It also specifically addresses individuals, as it is specifically the airlines (or their aircraft and cargo) and passengers and crew to which the relevant laws and regulations are to apply and by whom/which they are to be complied with. Hence, she concluded, Article 7 of the Open Skies Agreement fulfilled all the requirements for direct application. The second was contained in Article 15(3) of the Open Skies Agreement, under which the parties are to apply any environmental measures affecting air services in accordance with the principle of fair and equal opportunity, in a non-discriminatory manner and in a way which must not prejudice the airlines’ prospects in competition with each other. This was unconditional and sufficiently precise. As with prohibitions on discrimination under external agreements and in a similar way to the competition principles applicable within the European internal market, this rule is capable of having direct application. The fact that the calculation of emission allowances to be surrendered is based on the whole flight in each case does not bestow upon Directive 2008/101 any extraterritorial effect. Admittedly, it is undoubtedly true that, to some extent, account is thus taken of events that take place over the high seas or on the territory of third countries. This might indirectly give airlines an incentive to conduct themselves in a particular way when flying over the high seas or on the territory of third countries, in particular to consume as little fuel as possible and expel as few greenhouse gases as possible. However, there is no concrete rule regarding their conduct within airspace outside the European Union. She also considered that there was no duty to negotiate emissions trading schemes under the auspices of the ICAO and hence no duty not to introduce such schemed unilaterally. Finally, she rejected the arguments that the emissions trading scheme amounts to a tax or charge prohibited by international agreements. So a number of things of interest here. First of all, the whole underlying politics of the case – yes, the EU has, under trade pressure, been willing to open its skies to US carriers (that is what the whole Open Skies process was about), but, in a parallel measure, the EU is entitled to demand its price, namely some degree of regulation of the emissions which flow therefrom. 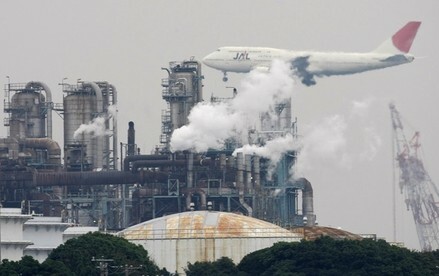 Secondly, the whole clash of two sets of legal regimes: international aviation law meets EU emissions law. But that is nowhere as simple as saying that international meets EU, because the EU law in question is itself derived from UN measures on climate change including the Kyoto Protocol. And thirdly, the sustained analysis by the A-G of just what it is about a given measure to enable individuals or corporations to rely upon them as conferring rights – in domestic-law-speak, giving them grounds of challenge. Well worth a read – though a health warning – it is 240 long paragraphs, even before the inestimable pleasures of the 183 footnotes.